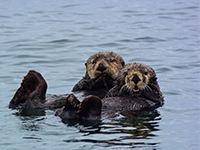 It was an incredible abundance of sea otters and the value of their luxurious fur that first lured Russian and other European explorers and traders to Sitka’s sheltered waters. The rapid growth of the sea otter trade, and the fortunes it generated in the early 1800’s, soon earned Sitka the title of “Paris of the Pacific”. 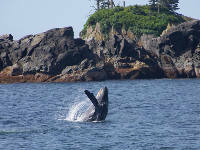 Today, Sitka is considered one of Alaska’s most picturesque and historically fascinating communities. 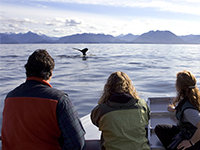 The spectacular beauty of the surrounding wilderness is the ideal environment for a variety of tour programs, including our award-winning Sea Otter & Wildlife Quest. Click here to learn more about Sitka. 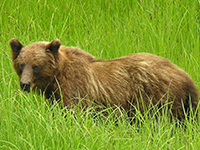 Otters, Raptors & Bears … Oh My!